Although it was a flip of the coin between friends, to see if they would join the Navy or the Airforce, James Mulholland's winning toss to join the Airforce would be the start of a life time's love of flying. 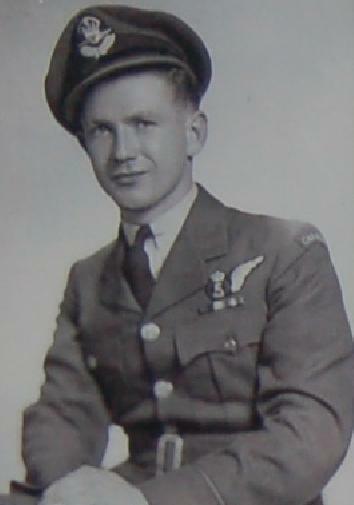 Toronto born Mulholland would leave his Snelgrove Ontario home to begin the training which would eventually bring him to the 419 Squadron. It wouldnot be until November 30th 1944, which was Sgt. Mulholland's twenty-first birthday thst he and the crew of Peter Tulk would arrive at Middleton St. George. With thier last training posting at No. 1664 HCU behind them they began their squadron operational duties on Christmas Eve of 1944. Most of the crew would stay to together through their tour. The only change to the crew was on March 21st. when the Wireless operator was replaced by F/S. D.R. Lamour for the remaining operations. With the exception of two of their sorties. 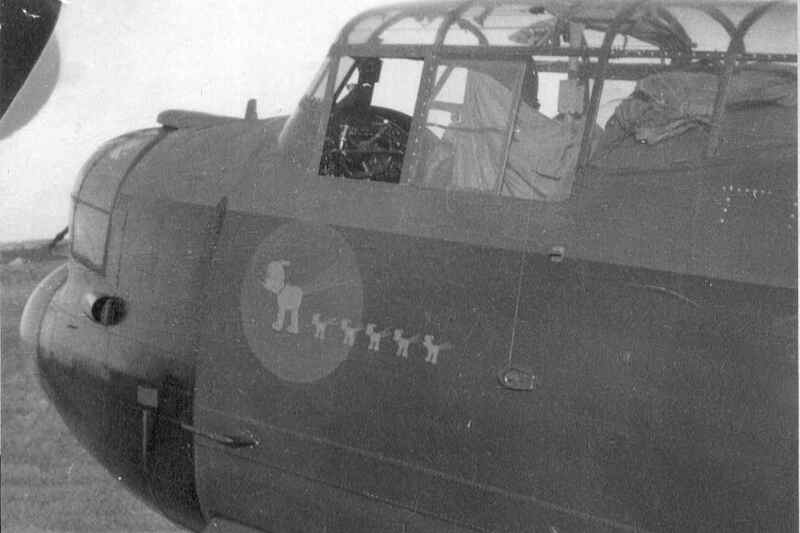 all operations they flew were in the dangerous skies over Germany. The crew flew different Lancasters attached to the squadron, but one in particular became the crews favourite and the one they called "Daisy" , Lancaster KB839. They had almost exclusive use of "Daisy" for their final series of operations. The photo below shows KB839 with the Dagwood's cartoon dog Daisy along with some of her pups. Each operation was commomorated with the addition of a pup, the next photo shows Daisy during a change over from Tulk's crew to the crew of P/O Rickert's. 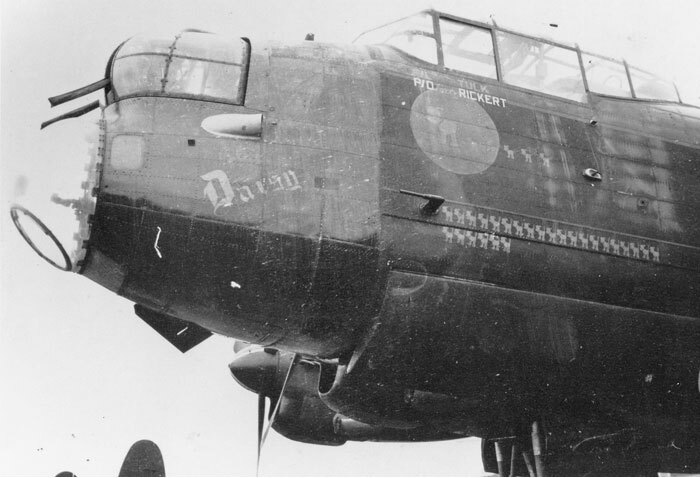 The number of operations completed proudly displayed on the side of VR-D.
With the end of April the final operations of the 419 Squadron were completed. 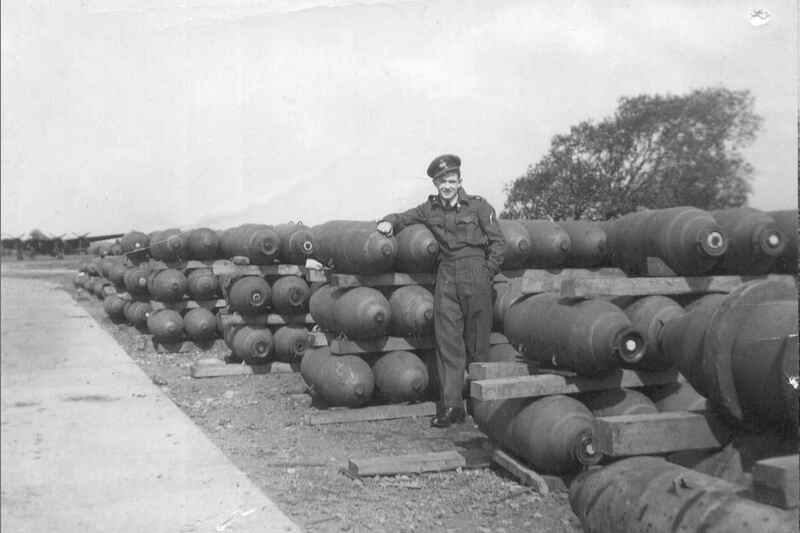 And then May of 1945 the whole squadron's aircrew and aircraft were prepareing for the return home to Canada. 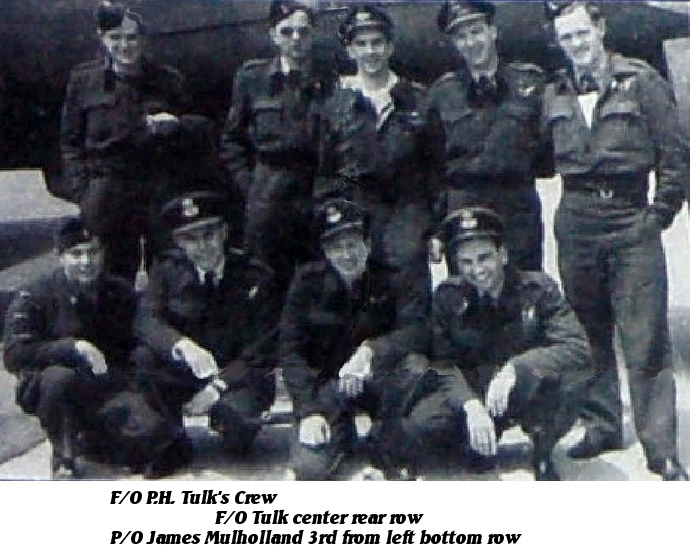 James Mulholland's love for flying continued on after the war. He even built and piloted his own J3Cub for the love of flying. He was active in many flying clubs in Ontario. On March 16th of 2012, at age 89, he passed away leaving a positive contribution to the flying fields and flyers of Ontario.